Travelling can be very expensive when you go unplanned. Time is a big factor when you want to visit and explore a place whether its local or outside the country. I am not an expert travel guru but from my local travel experiences I have and repeatedly follow a list to do and sticking by them religiously. Budget- Travelling means money. You got to have at least have a certain amount of money for you to go around and roam. Travelling by air can exhaust mostly your travel budget, not unless you get to be smart by getting deals online. There are a lot of travel agencies where you can get discounts on both hotel and flight bookings . Compare and check each one of them. Check the website's trust rating and how it caters to online inquiries of customers through their social media accounts. For our next summer travel adventure, am checking online travel agencies suggested by friends. Doesn't harm to rely on friends' referrals. I always have this thinking that a 5-star hotel is not needed when your plans for the trip is to explore the place. You just need a comfy and dry bed and a shower area for you to freshen up for the following day. Plan ahead- check the calendar for the right timing to go to a place when it is in season. Festivals can be a great reason for you to travel. For example, here in the Philippines festival are mostly celebrated in summer season. March- May are the best months for you to enjoy festivals. If you are employed schedule your vacation leave ahead of time and finish and submit your deadlines. Endorse properly to your co-worker for them not to call you in the middle of your vacation time. Make a list- from essentials to necessities for the whole duration of the trip. You will not buy anything from the stores to where you will be travelling, remember you are on a budget. Pack light and complete. From clothes to footwear, gadgets to extra food. You don't have to bring your whole wardrobe and kitchen for a less than a week vacation. 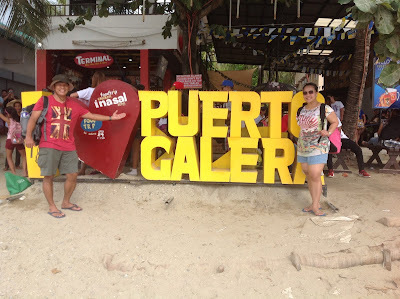 Group tour- group tour helped us when we went to Puerto Galera last summer. We got amazing discounts to all the scenic spots, water recreation and also with food. Also, learn how to haggle, haggling can save you a few bucks to use to buy souvenirs. Have fun and Enjoy! Low budget travel doesn't mean you will not enjoy the trip. It's the memories you will be creating and the people you will meet along the way are the keys to a fun and enjoyable trip. Create pages of memories and explore the world.